We at MAKO Spearguns pride ourselves on producing some of the highest quality freedive fins available. For example, our Competition Freediver fins are a professional grade freedive fin featuring removable blades for easy change outs to fiberglass or carbon blades. So, here they are… The MAKO Spearguns Los Ninos Freedive Fins. Although these freedive fins have fixed blades (permanently attached to the foot pockets), they are very good quality freedive fins. Not only will they work well for youths, they are also good for women with smaller feet. 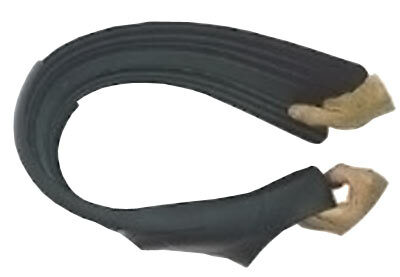 The fin foot pockets are made of the same thermoplastic rubber used in high end foot pockets. These foot pockets are soft for comfort where needed, but stiffer where needed for increased transfer of energy. The fin blade is made of a highly flexible yet strong Polypropylene composite material, designed to maximize thrust and stability. This is no cheap, off the shelf, fin found at sporting goods stores. This is probably the best youth freedive fin you can find. I purchase this fins for my gf (small feet) and they fit perfect! She is starting in freediving / spearfishing. Thank you for making dive fins for little kids! I looked far and wide and am so happy to have found Mako. Shipping was very fast and the quality and fit is perfect. These fins rock. They are super comfortable and are great for entry level freedivers. Thanks Mako for your great customer service and reliability!! 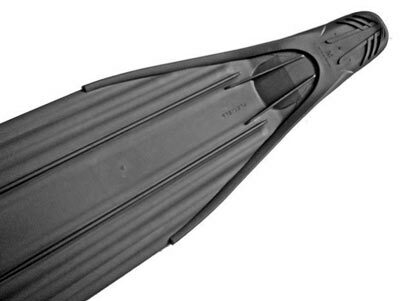 i like softer blades, i buy this fins because i teach freediving and for persons who have a very small feet, this foot pockets are good, but the blades are to hard to fin correctly. Awesome kids freedive fins for a great price! Customer service was excellent helping me make sure that my order was correct the first time and they provided all the product information that I needed to make the right choice.